It’s usually a sad affair when a game gets cancelled, though in the case of Borderlands Online, it’s the cancellation of a game you probably wouldn’t have been able to play. Chances are, given that it was being developed specifically for China, it would have been a free-to-play game, but we’ll never know, because it recently ceased to exist, along with the studio. 2K China is no more, with its 150 staff now out of a job. 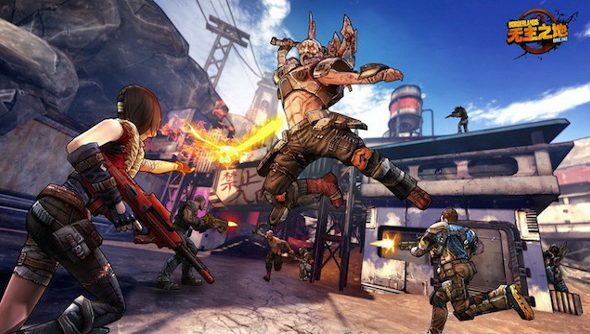 Borderlands 2 is one of our favourite games to play with mates, for more take a look at our list of the best co-op games on PC. “We are excited about the opportunities to expand our business in Asia, and we remain committed to delivering triple-A offerings for that region. At this time, we can confirm that we are closing 2K China,” Take-Two told GamesIndustry.biz. The time needed to finish Borderlands Online, along with other projects, was not expected to yield a “favourable return” on Take-Two’s investment, unfortunately. As for the 150 staff, Take-Two says it’s looking to find other opportunities in the company for them. It struck me as a strange risk, when the game was first announced. A very Western game with a distinct, American style did not sound like something I could envision a Chinese audience gobbling up.